It’s happened again. Your friends have invited you to an upscale, sit-down restaurant—pulling you away from your carefully measured bowl of quinoa and kale. You glance at the menu and see enticing options that tempt you to throw your new diet right out the window. Fortunately, it doesn’t have to play out that way. 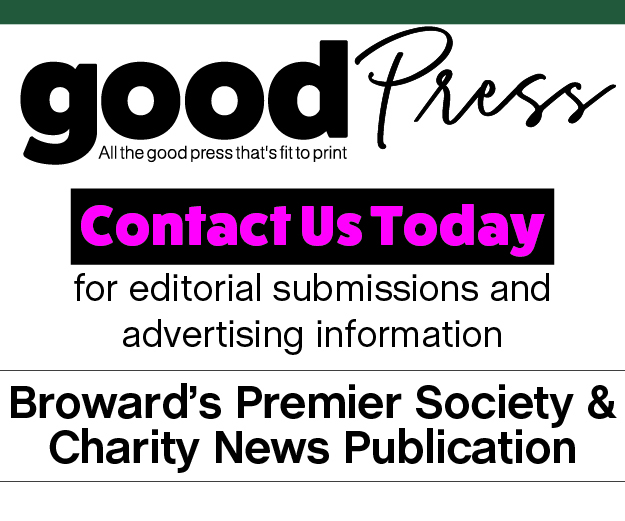 To help navigate the low-cal gems on fine-dining menus, Coconut Creek Lifestyle found a selection of dishes that cater to your healthy lifestyle—so you don’t have to sacrifice flavor to enjoy a delicious meal. 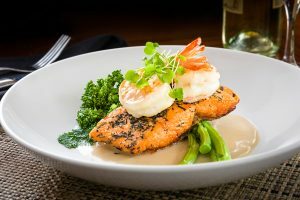 This upscale Creek restaurant offers a variety of healthier options on its Life Balance menu. Each of these signature dishes are less than 600 calories and portions are measured individually to ensure accuracy. One favorite is grilled tenderloin medallions, at 570 calories, which features fresh ingredients such as ancho chili, garlic, tomato-braised kale, Yukon gold potatoes and sweet grape tomatoes. 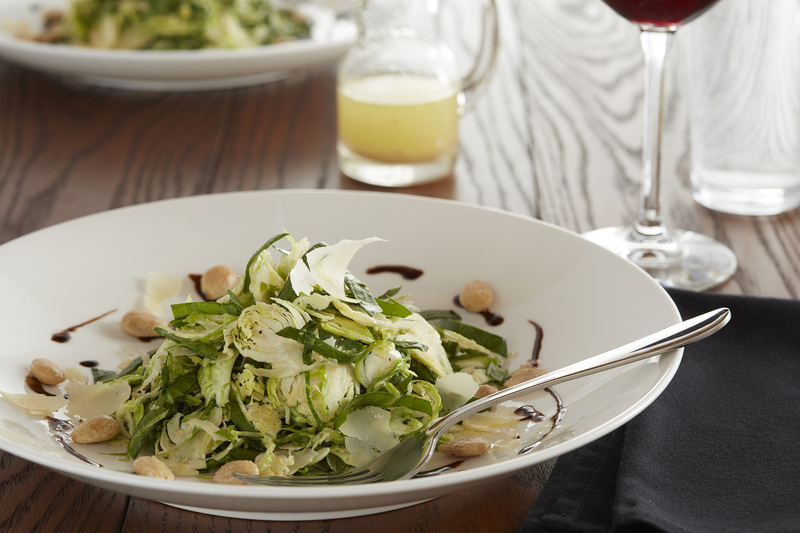 For an appetizer, try the shaved Brussels sprouts. Along with a menu of traditional American comfort food such as burgers and wings, Red Rock offers a selection of lighter options with a similar fire-grilled flare. The restaurant offers four types of Rockstar Tacos, including three gluten-free options—mahi mahi tacos, pollo tacos and carne asada tacos. 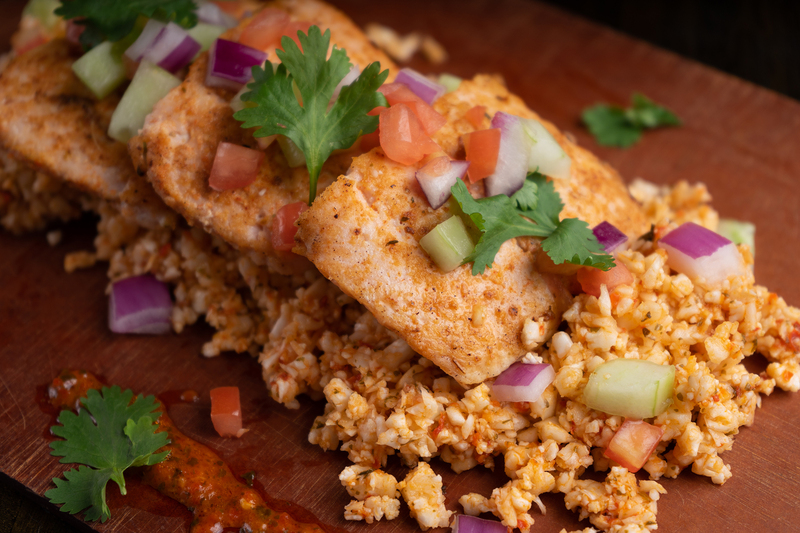 This restaurant combines traditional Mexican and coastal flavors to create menu items that are both delicious and good for you. Rubio’s offers burritos, tacos and bowls filled with flavor and packed with nutritious ingredients. The California bowl, a restaurant favorite, is made with citrus rice, black beans, handmade guacamole, and your choice of grilled seafood, chicken or vegetables. Nestled in an unassuming shopping center, Swirl is a sweet escape for locals looking to try something new. Head chef Judith Able combines the Caribbean flavors of her homeland, Jamaica, with the technique and precision that she learned during her time studying the culinary arts. Dishes such as grape leaf-wrapped goat cheese, tuna poke martini salad with avocado and yuzu caviar, and grilled octopus salad with polenta and lemon aioli showcase the exceptional flavor combinations that feature healthy ingredients. Located inside the popular Seminole Casino Coconut Creek, Sorrisi offers fresh and flavorful dishes that delight. Though the restaurant does offer some heavier options, its menu also contains more low-carbohydrate and diet-conscious dishes. One option is the Atlantic salmon with herb dust, jumbo shrimp, haricots verts and salmoriglio sauce. Ethos’ menu captures the spirit of Greek and Mediterranean cultures and their fresh cuisines. The restaurant offers a variety of appetizer-like dishes meant to be shared, such as the Ethos platter, which includes a grilled protein served with salad, spinach rice, roasted potatoes, pita and tzatziki. Also, try the grilled octopus, or the Ethos salad with green apple and walnuts. Ciao is a favorite among Creek residents for delicious food and delightful drinks. Guests can enjoy an upbeat atmosphere while dining on an assortment of meals and appetizers. 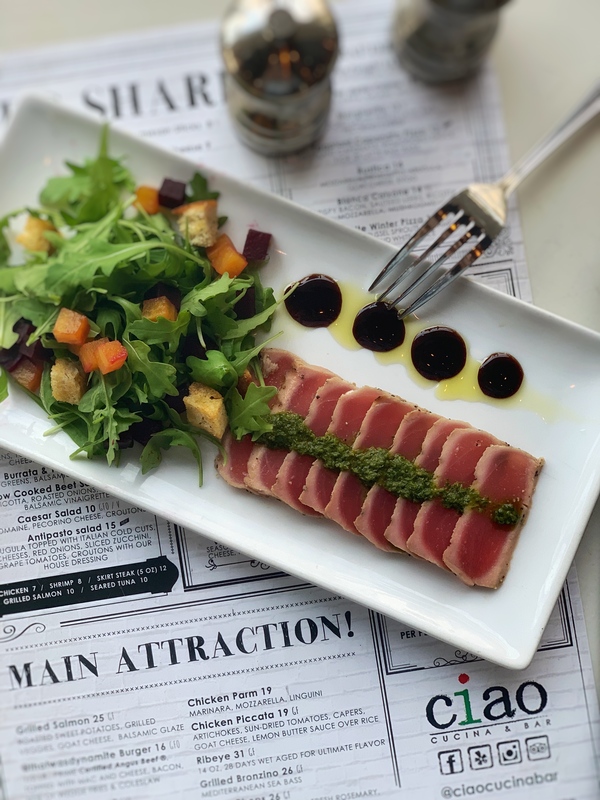 Those looking for lighter fare packed with flavor can order the seared ahi tuna with arugula and beets. Located next to Silverspot Cinema, Trilogy offers American cuisine, featuring classics like Buffalo wings and a grilled chicken sandwich. For those looking for healthier alternatives, more inventive combinations include the impossible vegetarian “burger” with Portobello mushroom and roasted red peppers, as well as the tuna tartare wontons. 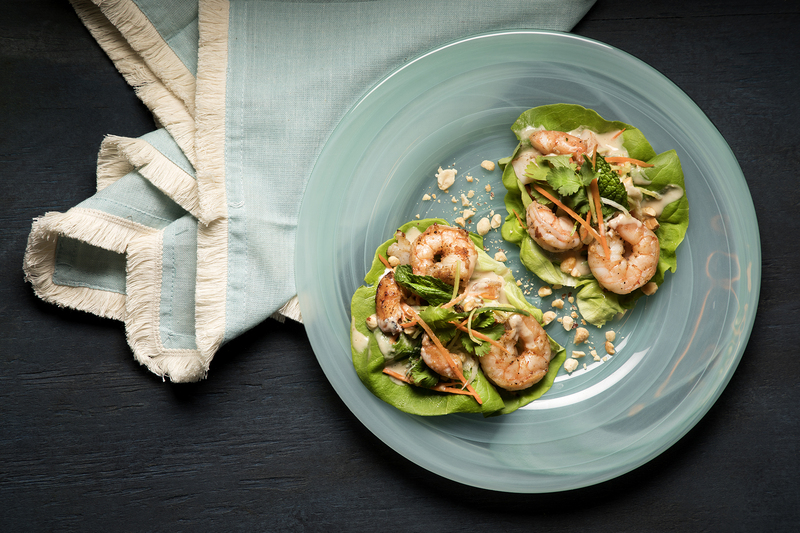 Plus, try the grilled shrimp lettuce wraps with citrus, fennel, cucumber, peanuts and mint (pictured on main page). A local favorite, the gastrobar is known for its variety of dishes and drinks in a casual bar atmosphere. One healthier option is blackened fish tacos, featuring Alaskan cod, black beans and warm corn tortillas. Try customizing with toppings such as pico de gallo, queso fresco and fresh avocado. Or try the seared wild salmon with cauliflower “couscous,” cucumbers and heirloom cherry tomatoes.